At The Henry Beaufort School, the role of the Governing Body is to support and challenge the Head Teacher and staff in the day-to-day running of the school, to provide strategic guidance and to provide a visible form of their accountability. In doing so, governors must preserve strong links between the school and the community it serves. They are accountable to the community for the use of resources and the standards of teaching and learning in the school. Governors should have a wide experience of the outside world, an independent view, and should focus on long-term development and improvement. The Henry Beaufort full governing body (FGB) currently has 20 members, one of whom are appointed by the Local Education Authority. Twelve members are co-opted by the full governing body to suit the needs of the school. Five others are parent governors elected by parents and one staff member elected by the staff, and the Headteacher is also a governor. Much of the FGB’s responsibility is delegated to its three committees, details of which are described below. Each committee takes responsibility for specific aspects of our work and the FGB deals with strategy and overall monitoring of the Head Teacher and staff. 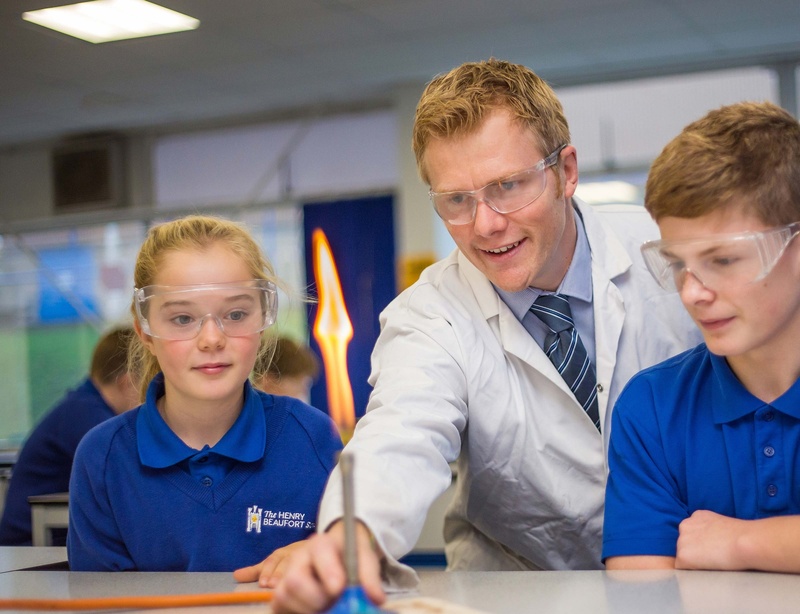 FGB and committees each meet six times per academic year and governors also attend selected staff meetings and parents’ evenings. The Resources Committee monitors the school's financial well-being and supports the Head Teacher in her initiative to improve the school’s controls over expenditure. In addition the committee has oversight of the business, community, nursery and staffing financial issues. The Committee scrutinises the financial data and acts as a critical friend in discussions over major purchases. The annual self-audits of Finance and Health and Safety are carried out and these allow us to identify areas for training. Benchmarking will be carried out throughout the year to ensure value for money as the financial stringency continues. The Curriculum Committee is responsible for looking at what students learn and how they are taught. This includes the shape of the curriculum and how time is allocated as well as extra-curricular activities and work related learning. We discuss what results students achieve at key points in their schooling and how their levels of achievement could be improved. As part of our responsibility for what subjects are taught and how, we regularly invite senior teachers to talk with us about their work. This helps us to understand about the curriculum and teaching and assessment methods and we are always delighted at the enthusiasm and commitment of the staff. They really want the best for the students and help us make decisions that will keep improving standards at Henry Beaufort. This year we will be hearing from the Humanities, Science, and IT teams and we are very much looking forward to it. The Welfare Committee has wide ranging responsibilities in advising and recommending to the Governing Body on matters concerning students’ personal development, behaviour, attendance and child protection. We are also working to develop stronger links between the Governing Body and the students. Governors have attended Student Council Meetings, and the committee regularly invites student representatives e.g. Student Leaders, Ambassadors, Mentors to come to talk to us about those roles. We each of us try to spend time in school, sitting in on lessons, maybe eating in the Bistro and talking to both students and members of staff. Governors have also sat in on interviews for Student Leaders and the Students’ Panel during the senior staff interviews a year ago. These occasions are always interesting and informative, giving governors an opportunity to learn much more about student life at Henry Beaufort. This is always a very positive experience and it is the part of our duties as governors we enjoy most. Please note that public records of meetings are available by request.